Þorlákshöfn is a fishing village on the south coast of Iceland with roads leading to many of the best known nature and historic attractions in Iceland. The village has about 1,600 inhabitants and the most important industries are fishing, fish processing and retail services. Þorlákshöfn harbour is one of only two general harbours located on the south coast, the other being Höfn in the south east, more than 400 km away. 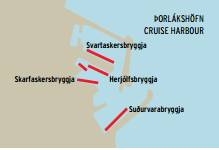 As well as being within reach of many tourist attractions, Þorláks— höfn is very well located in terms of transport links (land, water and air). Þorlákshöfn is the central town of the Ölfus municipality. Ölfus enjoys a wide range of beautiful landscapes, with black sand beaches, cliffs, lava formations, geothermal areas, hot springs, glaciers, waterfalls, historic places and geysers all in the vicinity. Tourist services are increasing, especially in the rural areas, with a wide range of sleeping accommodation, restaurants, cafés and horse riding possibilities available. 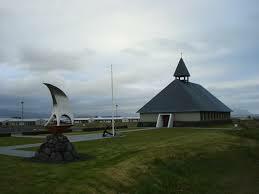 At the centre of Þorlákshöfn you can find a bank, a post office, a library and an information centre, along with a guesthouse, a café, small restaurants and a bar. Þorlákshöfn also has a new, modern, fully-equipped sports facility, a swimming pool spa and a campsite. A very challenging 18 holes sand golf course is on the outskirts of town and surfing the waves is a very popular sport. 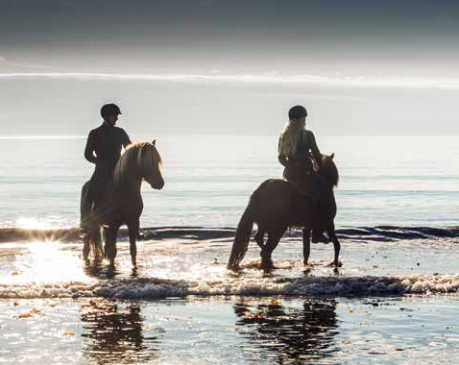 Iceland’s south coast is renowned for black beaches, notorious volcanoes, beautiful glaciers, vivid hot springs/geysers, spectacular waterfalls, geothermal spas, Icelandic horses, including breeding shows and riding. The Ölfus region is the largest horse breeding area in Iceland, so horse riding across the highlands and vast black sand beaches is a big attraction. The flat landscape makes it ideal for walking and biking. More adventurous tourists can hike into the mountains, bathe in a warm river and go on ATV or RIB tours. Þorlákshöfn’s nearest neighbours are the villages of Hveragerði and Eyrarbakki, the latter being one of the oldest villages in Iceland, and Selfoss, the largest town in Árnes county. Driving along the coast to the east, you are greeted by glaciers, beautiful mountains, black sand beaches, waterfalls and bird cliffs. You can also visit some very interesting museums and historic sites. Some of the best known places of interest are Seljalandsfoss, Eyjafjallajökull, Skógafoss and Reynisfjara. In the autumn and wintertime you can enjoy the northern lights (Aurora Borealis), while warming up in one of the outdoor hot tubs which many of the county´s hotels provide. 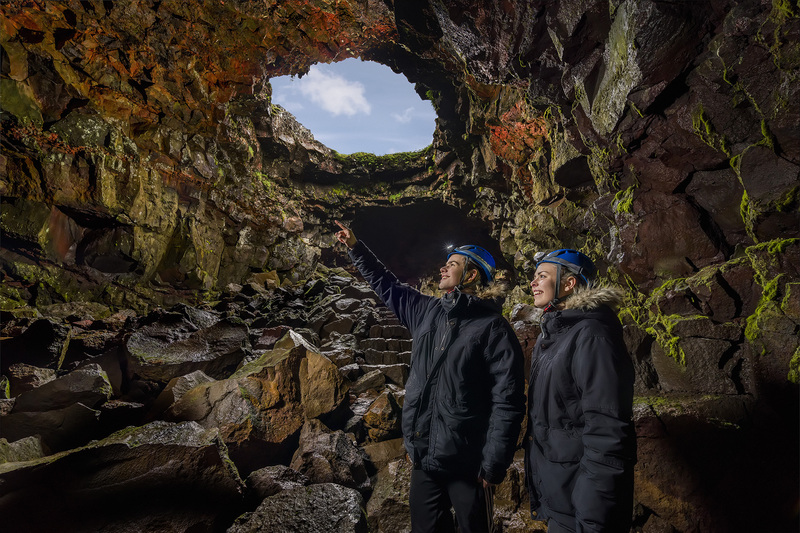 Within reasonable distance there are also other well known tourist attractions, such as the Blue Lagoon, Þingvellir, Gullfoss and Geysir – all within a two-hour drive from the port of Þorlákshöfn.